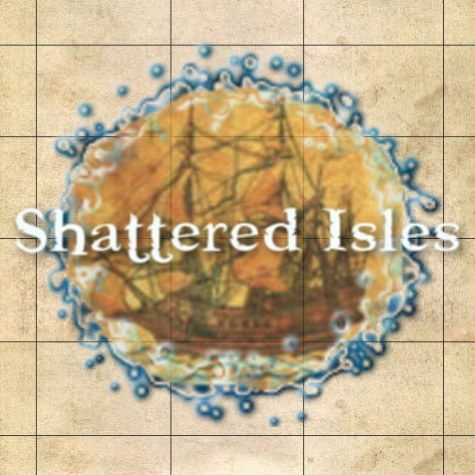 What started out as a reference guide for armor and weapons has expanded into a full index of terms and phrases commonly used in Shattered Isles. This glossary consists of a vast assortment of medieval weapons and armors, as well as some terms unique to the world of Shattered Isles. Our Index is always expanding as the game evolves. If there is a term you've seen in the gaming world that you aren't familiar with and can't find here, try using our expansive HELP command within the game. Known also as an aglet, aiglet, or anglet. A small metal end cap attached to a lacing point to keep it from becoming frayed. Known also as ailets. Square armor plates mounted to the shoulders, they were quite often worn by crusaders and were in use during the late 13th and early fourteenth centuries. Heraldic charges were frequently painted upon them for identification. Known also as: Acton, auqueton, haqueton. A version of an arming doublet worn during the 13th, 14th and 15th centuries as a "soft armor" as well as padding for additional armor worn over the top. Typically, they were quilted, then sewn or stuffed with linen, tow or grass. Alternate spelling - anueal. The process of softening metal. For ferrous metals containing iron, the process involves heating the steel up to its critical temperature and then slowly cooling it. For non-ferrous metals such as brass, bronze, silver, gold, and aluminum, the process is modified. The metal is heated to its critical temperature and then quickly quenched in water, snow, urine, or oil. What annealing actually does on a molecular level is to allow the metal crystals to realign, moving them into their more relaxed state. When the metal is worked, the crystals are moved out of alignment, contributing to both hardness and brittleness. When producing arms and armor the metal must be annealed as it is worked; if not, the metal can become stressed to the point where it will break. A munition-grade armor originally introduced in Germany in the early 16th Century, eventually finding its way into most of western Europe. Introduced in the late 16th century, this was laminated body armor in which horizontal "strips" of armor plating overlap each other "upwards", so tha the joint openings face upwards, rather than downward. It is rather flexible armor, but not very effective due to this design. It is for protection of a soldier's upper body. From the French word arbalè´? The Crossbow, first seen in the early 14th century. It amounted to a bow mounted on a stock which could be either cranked or pulled into place using more leverage than could be used on a conventional longbow. The result was a weapon high power, low trajectory and tremendous destructive ability. It fired a bolt, a shorter version of an arrow. However, the firing time on a crossbow was slow compared to the longbow. For that reason and owing to the vastly higher expense during the period, the longbow remained the favored missile weapon of the 14th and 15th centuries in England and France. From time to time the crossbow was banned by various laws, but it remained a weapon of great popularity during the late 14th century in the low countries, the Swiss states, in Germany and in Italy. A crossbowman or soldier using an arbalest. During the 14th century they generally wore a mail hauberk to defend the body, a bascinet to defend the head, sometimes with a small collar of iron to defend the throat. Almost always a footman, the crossbowman sometimes wore a surcoat showing the livery to which he was affiliated. During the 15th century the hauberk was generally replaced with a brigandine. A pavaise, a head-to-tow shield, was often brought out as a semi-portable defense that the soldier could hide behind as he reloaded so that he would not be cut down by arrows, other crossbow bolts, or by charging horsemen. Smelted from cobalt and silver, an electric shock is required to bond the raw metals before it can be properly forged. This is most often done during bad weather conditions, using a lightning rod to generate the charge. Many Aerthanians favor the metal arcsilver due to the process in which it is made. A type of closed helm that conforms to the shape of the head, covering it completely. Introduced in the 15th century, the skull piece covered the back of the head and the ears, with a movable chin piece revolving on the visor pivot points. It was closed using a hook or bolt on one side. A small quilted cap worn under the maille coif that offered protection against blows and the friction of mail against the head. Quilted garment worn under armor from the early fifteenth century, equipped with points to attach mail gussets and pieces of armor. Related: arming points. A rivet used in the making or repair of armor. Laces, cords or similar ties used for fastening sections of armor together. Also used to attach or hang armor from an arming doublet. The stamp that was placed on a piece of armor to signify the maker, much like a hallmark that is still used on jewelry. A combination mantle-and-scarf of maille attached with vervelles to the bottom edge of a helm, protecting the neck and shoulders. Related: bascinet and vervelles. A form-fitted piece of plate armor, enclosing and protecting the back half of the upper body. A whalebone used for weapons and armor during the 14th century. A Victorian-era version of chainmaille, having strips of leather interwoven through the rings. Related: maille. A high bevor of Spanish design, with falling lames, with eye slits for vision. Known also as: barbut, barbuta, celata. An Italian helm, fitting closely to the head, characterized by a rounded skull, a T-shaped opening for the face, sometimes expanded into a fully open face and severely flared tail and cheek pieces. Considered a variety of salade (German). Known also as: Barding. Defensive covering for the horse, referring to either the plate armor or the padded trimmings which displayed the heraldic markings of the knight who owned the horse. During the 14th century, armor for the horse consisted mainly of the chamfron for the head, the crinet for the neck, and occasionally cuirboille armor. During the 15th century, as knights began wearing a full plate armor harness, the horse was also sometimes fully armored. Components could also include a crupper, flanchard and peytral. Alternate spelling: Basinet. An open-faced helm that evolved out of the cervellaire, (a small, archer's "skull cap" worn under the great helm), by raising the back of the crown and extending the lower edges to covers the sides and back of the head. Typically worn in combination with an aventail and a visor. Related: Hunskull. A knife or short sword bearing a hilt in the shape of the letter 'I', originating in southern Germany during the late 13th century. A helm visor with deep, transverse (horizontal) grooves. Introduced in the late 15th century, its use continued into the early 16th century. A Small round defensive plate that was laced to the mail at the shoulder to defend the armpit. Developed as augmentation to mail defenses in the late 13th century, it's use declined during the early 14th century and was no longer in use at all by the mid-14th century. Spaulders were introduced and provided the same protection as well as protecting the shoulder joint. Known also as: bavier or buffe. A cupped defense for the chin attached to a gorget. Commonly used with a sallet done in the German style, they were also used with Italian armors. Known also as: byrnie, byrne, brene, broigne, and bruny. A mail shirt, relatively short in length, coming down only to the waist, with half-sleevs. Related: hauberk. A collar of mail protecting the neck, shoulders and upper chest. armor that was blackened or painted to prevent rusting. This involved coating the armor with "dirty" or used oil (e.g., linseed or olive oil) and burning it off, or boiling the armor in a pot of oil until the oil "cooks" into the steel and then burning off the excess. If brought to the right temperature (270-300C), the oil residue (including the burned carbon in the oil) bonds with the surface of the metal, giving the armor a dark, glossy finish. Another method, which produced a dark grey to light black finish, was to soak the metal in tannic acid extracted from tea, oak bark, peat bogs, etc. The practice of blackening plate and mail armor was common up until the late 15th century, especially among German mercenary knights employed throughout Europe. The practice disappeared as the quality of the metal improved, as traditional blackening methods would not work on chromed or modern galvanized steel. A similar practice, however, continues in the modern day as "blueing" done with a chemical agent rather than with oil and heat. Modern day armorers have also found that traditional blackening can be done with used motor oil. Heat treating a piece of armor in order to produce a "blue" oxidized finish. The process involved super heating the armor to a certain temperature, then cooling in oil or water. A notch in the upper right hand corner (dexter) to allow pointing the lance during a jousting charge without exposing the arm or body. First introduced in England in the early 15th century. Known also as: Archer's Guard. Protective armor for the wrist and forearm, as well as specifically protecting the forearm of an archer from the recoil of his bowstring. Typical materials included horn, ivory, leather, maille, and steel, quite often including a combination of these materials. Introduced in the early 14th century. A form-fitted piece of plate armor, enclosing and protecting the front half of the upper body. Originally evolving out of the cote of plates as the size on each individual plate increased and the front plate was increasingly bulbous, the breastplate was fully developed by the mid-14th century but was not in wide use until the late 14th century. Holes or slits used for ventilation placed in the front of a helm. Known also as: Brigandyron, Brigantayle. armor made of plates of iron or steel overlapping upwards, riveted to a cloth or leather garment. The plates were "tinned" to prevent rusting, and were located on the inside of the armor, with the rivet heads showing through on the outer surface.. Early versions saw plates as large as 4 x 10 inches. Later versions saw plates of much reduced size, typically 1 x 2 inches. A small round shield, in use from the 13th through 16th centuries, carried by infantry or used for sword-sparing practice as a target shield. Related: bevor and falling buffe. Known also as a Burginot. Introduced in the 16th century of Burgundian origin, it is an open helm, with an umbril (brim) projecting over the eyes, a comb on the crown with ear-flaps hinged to the sides. A 15th century Spanish helm with a turned-down brim and an almond shaped Skull ending with a protrusion shaped like a small shaft. Related: morion. An open helm worn by foot soldiers during the late 16th century and 17th century. It has a narrow brim and a small point protruding from the crown. Related: Morion. Tubular plate armor wrapping around the upper and lower arm. Related: vambrace and rerebrace. Adding carbon to the surface of iron-base alloys by absorption through heating the metal at a temperature below its melting point in contact with carbon material. The oldest method of surface hardening wrought iron and other low-carbon steels by packing it in charcoal or some other carbon-based material, then heating it for several hours above 1650?F. Known also as: Casquetal. Similar to a Burgonet, an open-faced helm in use from the 9th through the 13 centuries. It was a snug-fitting rounded or pointed steel bowl, with a nasal, typically worn over a mail coif and an arming cap. An Open-faced helm with an umbril (a brim) and a laminated neck guard. Open-faced Italian sallet, common in the fifteenth century. The small steel skull cap worn under the great helm during the last part of the 13th century and into the early 14th century. Known also as Chainmaille. Related: Maille. The plate armor covering a horse's face. 14th century examples are very rare, showing crude construction, using globular pierced defenses for the eyes. The chamfron became well developed in the 15th century, when the horse was more fully armored in plate steel. The crinet, another portion of horse barding, covered the horse's neck. Known also as: a kettle hat. A simple open-faced helm with a wide brim. The hinged staple or bolt that secured the fourteenth century helm or great basinet to the breast and backplate. Mail protection for the legs, either in the form of mail hose or strips of mail laced round the front of the leg. A Helm which, with a full visor and bevor, completely encloses the head and face; modern use of the term tends to refer not to helms with hinged cheek-pieces opening at the front (the armet) but visored helms pivoting open on bolts or rivets each side of the skull. Contemporary usage, however, makes no such distinction. A quilted garment worn over armor in the fourteenth century. Known also as: fence, jack, or brigandine. A doublet or tunic lined with small metal plates or, more rarely, just padded with stuffing of tow. Related: brigandine and jack. Known also as: a pair of plates or simply plates. A cloth garment with a number of large plates riveted inside, worn in the fourteenth century. Fabric covering for the groin, latterly padded. Its counter part in armor could be either mail or, more usually, plate. A Mail defense for the head in the form of a hood, often worn under a helm. The mail coif was worn over a padded cap, called an arming cap, and provided protection against shock and penetration. By the twelfth century it occasionally incorporated a Ventail which could be pulled across the lower part of the face. The keel-shaped ridge, often very pronounced, that passes from front to back of a helm over the skull, conferring extra strength and rigidity and contributing to its glancing surfaces. In the mid-sixteenth century, the combs of morion helms were raised and enlarged to an excessive height for reasons of fashion. Alternate spelling: corselet. A light half-armor popular in the 16th century for general military use (for example, town guards). It consisted of a gorget, breast, back and tassets, full arms and gauntlets. The term can also be applied to the cuirass only. Known also as Jupon. A quilted garment worn over a breastplate or coat of plates or as the sole body defense during the 14th century. Widely used in England, they required virtually no technical skill to produce and were light and easy to transport. Used extensively by soldiers, they were often worn with the Chapel de Fer for head protection. Alternate spelling: cowter. armor plate defense for the elbow. Plate armor defense for a horse's neck. Related: bard, crupper, flanchard, peytral and shaffron. Goblin forged steel. Iron and lead smelted to form a steel that is heavier and more damage inflicting than traditional steel. Defense for a horse's rump. Related: bard, crinet, flanchard, peytral and shaffron. A heraldic recognition device fixed to the top of the great helm, introduced in the second half of the thirteenth and in wide use by the fourteenth century. Known also as: pair of curates. A backplate and breastplate designed to be worn together. Alternate spellings: courboille, cuir bouilli. A material used for armor to add rigidity. It was made by boiling or coating heavy leather with beeswax, often enhanced with other ingredients, then wrapped around a form and allowed to dry. A 13th Century torso defense, originally made of leather. Alternate spelling: Cuishes. armor for the thighs. A defense for the rump, comprised of overlapping lames. A metalworking process for the inlaying of decorative metals, such as gold and silver, into other metallic surfaces. A Reinforced harness used for jousting, originating in the 15th century. Although special armors for the joust begin to appear during the 14th century, it was not until the 15th when special harnesses began to have names. A gauntlet whose cuff reaches the elbow, obviating both vambrace and couter. The hand grip and arm-straps on the back of a medieval shield. A plate steel armor for the entire arm. First introduced in the 15th century, it was used only for jousts. The epaule consisted of a single piece formed to cover the whole arm, made of cuirboille, iron or steel. A metalworking process applied for decorative purposes to the surface of armor plates. Often used in conjunction with blueing, gilding, etc. Supplementary armor pieces which could be added to, or exchanged with, those comprising a harness in order to customize said harness for particular applications, i.e.. jousting, fighting at the barrier, etc. 16th Century armor for the throat and lower face. It evolved from the bevor and was comprised of several lames, retained in place by spring catches, which could be lowered for better ventilation and vision. Projection from an elbow or knee cop designed to prevent a blow from wrapping around and landing in the joint. armor, usually composed of horizontal lames, attached to the bottom edge of a breastplate to protect the abdomen. Gauntlets with each finger protected by its own separate set of lames. A plate attaching to the base of a saddle, protecting the flanks of a horse. This closed the gap between the crupper and the peytral. Related: bard, crinet, crupper, peytral and shaffron. A skill used to craft arrows used for ranged weaponry. Requires wood. Fletching is for scouts only, and is learned by advancing Ranged Weapons. Fourteenth-century and later helm, usually attached to the breastplate and backplate, where the lower edge of the sight projects well beyond the upper edge. Protruding studs, sometimes of zoomorphic form, on the finger and knuckle joints of a gauntlet. Particularly popular late in the 14th Century on fingered gauntlets. A quilted doublet of cloth, stuffed with tow, wool, or other materials. They appear to have been worn over maille armors, under them, and instead of them at times. There is confusion and ongoing debate over the exact meanings of this word and the related term aketon. Padded, quilted thigh defenses of the late 13th and early 14th Centuries. Reinforcing plate shaped to fit over and augment the pauldron on Italian 15th Century armors. These were attached to the pauldron by means of a staple and pin. A complete plate armor that also features many exchange pieces; 16th Century. armor for the hand and wrist, initially made of maille, in later periods made of plate armor. Plating with a thin layer of gold. Piece of armor protecting the throat. May be a simple collar or a more elaborate design composed of several pieces. German armor of the late 15th Century, characterized by a slim angular line, cusping, fluting, and fan-shaped designs. A reinforcing piece of armor, attached to the left side of the breastplate and covering the left shoulder, upper arm, left side of the breastplate, and left side of the visor. Designed for use in the tilt. Known also as: earlier, a jamber or schynbald. A defense for the lower leg, originally only defending the shin, but later including a hinged back-plate to defend the calf. English armor produced at the royal workshops established by Henry VIII in the early 16th Century. Chains which affixed the sword, dagger, and helm to the breastplate, to prevent them from being lost in battle. Strap attached to the back side of a shield by which it could be slung about the bearer's neck. A short type of hauberk, typically reaching only to just below the hips. The terms are often incorrectly used interchangeably. Related: Birnie (Byrnie). A mail shirt reaching to somewhere between mid-thigh and the knees. Most often, it included sleeves, either half-length sleeves (reaching to the elbow) or full-length sleeves, (reaching to the wrist), although there were versions that were sleeveless. Sometimes , the term refers to similarly shaped garments made with scale. Related: Birnie (Byrnie) and haubergeon. Upstanding neck guard attached to the pauldron. A form of knightly shield which appeared in the 13th Century, shaped like the bottom of a flat iron. An all-enveloping armor "hood" which enclosed and protected the entire head, face and neck, reaching almost to the shoulders. An English version of the German hundsgugel , meaning "dog head", a nickname for a pointed visor found on bascinets of the late 14th and early 15th Centuries. A defensive jacket or doublet either of linen stuffed with tow, or lined with small metal plates. Known also as: jamber, jambart, or jambiere. An early medieval term for leg armor. Related: greave and schynbald. A padded garment worn over the armor, fitted in the torso, c.1350-1410. Alternately, a tightly fitted and usually sleeveless garment worn over the armor and displaying the wearer's arms. A modern term describing a type of angular breastplate popular in Germany between 1420 and 1450. An open-faced helm consisting of a bowl and a broad brim, resembling the British "tin hats" of World War I. Known also as: a "Chapel de Fer". A large, elongated triangular shield with a rounded top used throughout Europe from the 10th to the 13th Century. It is commonly associated with the Normans. A modern term for a globular visor worn in Germany in the 14th Century on bascinets. It was hinged at the front of the skull of the helm and covered only the area unprotected by the aventail. A narrow strip or plate of steel, sometimes used in armor to provide articulation. armor consisting of small plates laced together to give a rigid defense. Of Near Eastern origin, it was used throughout the Middle Ages in Eastern Europe, but was not common in the West. A support for the lance when couched; it was bolted to the right side of the breastplate and was often hinged. Copper alloy of varying formulation. Modern brass and bronze would be considered latten in the Middle Ages. Latten was often used in the decoration of arms and armor. Alternate spelling: Maille. A flexible defense of interlinked and riveted rings of metal; its origin appears to be Celtic. In most European cases, each link passes through four others ("4-in-1" weave) and the garment is shaped through the addition or subtraction of rings in appropriate places. A plate defense for the lower part of the left arm and hand, usually constructed in one piece and designed for the joust. A modern term applied to a style of early 16th Century armor characterized by narrow, parallel fluting. It was popular from the reign of Holy Roman Emperor Maximillian I (1494-1519) to the middle of the 16th century. A gauntlet with articulated transverse lames covering the fingers, rather than the fingers each being separately protected by a series of articulated plates. A 16th Century development of the kettle hat, widely used by infantry and consisting of a skull with a broad brim, flat or turned down at the sides, but which sweeps upward into a peak at the front and rear. There are two main types: (1) The Spanish Morion, or Cabasset, which has an almond-shaped skull ending with a stalk-like projection derived from the Cabacete, and (2) The Comb Morion, which has a high central comb along the apex of the skull. A maille, mitten-like extension to the sleeve of a hauberk with a hole at the wrist that allowed the wearer to remove his hand. Mass-produced, cheaply made armor for the common soldiery, produced in very large quantities at the beginning of the 16th Century. Related: Almain rivet. Articulated lames, often attached to the gorget, protecting the shoulders and upper arms. A strip of plate steel armor to the front of a helm to protect the nose. A decorative black inlay used to best effect on a surface of silver or gold. A compound of sulphur combined with silver, lead, and a small quantity of copper, it is fixed in place by heat. A plate reinforcement for the left elbow of armor for the joust. Piece of armor covering the shoulder. Usually large, covering the upper third of the torso. Large, usually rectangular shield carried by infantrymen and frequently used in siege work to protect archers and crossbowmen. The largest were equipped with a prop to support them. Persarium is a light-weight metal of unquestioned quality and worth. It is a beautiful white, as brilliant as the brightest star in the night's sky, with tiny flecks of gold dusted throughout. Some of Astraeva believe it to have been blessed by the goddess herself, but such rumors are unfounded and Persarium is worn by both the best and wealthiest people throughout Archai. Horse armor designed to protect the horse"s chest. Related: bard, crinet, crupper, flanchard and shaffron. An modern term referring to the visor on a hunskull visored bascinet. Related: hunskull and bascinet. A plate reinforcement attached to the breastplate, which at first covered the lower half but latterly, especially on Italian armors, covered nearly the entire breastplate. armor made of rigid iron or steel plates. An erroneous Victorian era term for referring to plate armor or plate and maille hybrids. Related: plate armor and maille. Reinforcement for the right arm on jousting armor. A cup-shaped plate defense for the knee, usually equipped with a side wing of heart shape. A spherical decoration for a helm, often gilded and worn instead of a crest in the 15th Century. General term for a simple, common soldier's helm (usually of morion type, such as the "pikeman's pot"). armor "of proof" is made sufficiently thick or hard to resist a shot from bow or musket. The term first occurs in the texts of early medieval romances. Embossed armor, often etched and gilt, resembling a style of dress popular in early 16th Century Germany; where "puffs" of colored material were pulled through "slashes" in the sleeves or body of the garment. A shaped iron bar bolted to early 16th Century jousting armors to hold down and steady the rear of the lance, enabling it to be leveled and aimed more easily. A heavy, one-piece sallet designed for the Rennen, a type of German joust fought with sharp lances. A large shield of wood and leather reinforced with metal, covering the whole of the wearer's body and bevor. It screwed to the breastplate and bevor. Designed for the German Rennen. Piece of armor covering the upper arm from the elbow to the shoulder. armor designed for the Rennen. An oblong plate hung from the lower edge of the culet on 15th Century armors. Known also as: Solleret. A Piece of armor covering the foot. Protective steel plates for the front (bow) and back (cantle) of a war or joust saddle. A light helm either fitted with a visor or open-faced, varying in form, having a tail to protect the neck. Known in England as a salade. armor made of small, overlapping scales or plates sewn or laced to a cloth garment. An erroneous Victorian era term for scale armor. Related: scale armor. A plate defense for the lower leg which protected only the shin and was strapped over the chausses. Related: Greave. Known also as: a chaffron, chanfron. Defense for a horse's head. Forms covering only the upper part of the head became popular in the mid-16th Century (demi-shaffron). Related: bard, crinet, crupper, flanchard and peytral. Known also as: occularium. The vision slit in a helm or visor. The part of a helm covering the top, back, and sides of the head above the ears. It can also denote a simple metal cap. A modern term for conical helms constructed of a number of segments riveted together; descended from Late Roman prototypes. Piece of armor covering the shoulder joint. Not as large as a pauldron. Light arm defenses used in the 15th and 16th Centuries, gutter-shaped and intended to protect only the outside of the arm, they were often found on cheap armors intended for infantry use and on certain types of German armor. Related: Almain rivet. A maille collar common in the 15th Century. A "frog-mouthed" form of great helm, worn for the Gestech (a type of German tournament), bolted to the breastplate. A thickly padded bumper for the horse's chest, hung round its neck to protect the rider's legs, worn for the German Gestech. A small rectangular wooden shield for the Gestech, suspended by cords from the breastplate. armor designed for the Gestech. Small metal bar riveted to plate armor to stop the point of a weapon sliding into a joint or opening. Flowing garment worn over armor form the 12th Century. Sometimes sleeved, sometimes sleeveless, it usually reached to mid-calf. Later, it was shortened and in the 14th Century developed into the jupon. Short, open-sided garment with short sleeves used to display the wearer's arms. Often worn by heralds. A defense for the top of the thigh, hung from the fauld by straps to cover the gap between cuisses and breastplate. They first appear in the 15th Century. Large plate reinforcing cuisses which provided protection for the thighs and knees and hung from either side of the saddle. Known also as: a gard-cuisse. Known also as: a base. A deep, hooped skirt of steel worn on foot combat armors in the late 15th and early 16th Centuries. An all-enveloping textile cover for a horse, reaching to the fetlocks and leaving only the eyes, ears, and nose uncovered. It often displayed the rider's arms. An enclosed circular joint above the elbow, enabling the arm to twist. A flange on the rim of the upper cannon of the vambrace rotates inside an embossed groove along the lower edge of the rerebrace. A shield boss, usually in the center of a shield, covering and protecting the hand as it holds the grip. Piece of armor covering the lower arm from the wrist to the elbow. An integral flap of maille attached to the coif in the 13th Century; it could be drawn across the mouth to protect the lower face. Staples attached to the base of a bascinet for the attachment of an aventail. Related: bascinet and aventail. Protection for the eyes and face; a plate defense pivoted to a helm's skull. A modern term for a plate armor of plain, polished steel. A reinforcing piece for an armet or other helm which was strapped about the helm and protected the lower half of the face.